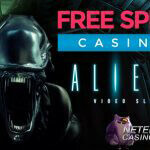 Although Netent’s branded video slot Aliens was launched in front of a packed audience at the ICE Totally Gaming conference in London at the beginning of 2014, it took a few months before the game was launched at the many Netent Casinos and players could start enjoying this exciting branded video slot. 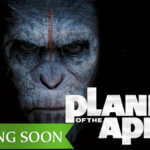 Exciting is actually an understatement, as this game brings so much more, mainly attributable to an incredible gameplay, real-time 3D graphics and the three levels this video slot is build up by. Get drawn into space as this 5-reel, 3-row, and 15-line takes place far away from planet earth, on a totally different planet. You’ll be one of the rugged space marines on a rescue mission, to find out if there are aliens or survivors on planet LV-426. You don’t get a chance like this every day you know, so are you ready for some adventure? Are you ready to face your worst nightmare? Those who have been playing Aliens as a desktop game, know what to expect, but if you have no clue yet, I can assure you’ll be surprised about Aliens Touch® as this game brings you the best a video slot can give to a casino player. There are three levels involved, which makes it more of a game than a video slot, although Level 1: The Search is definitely a video slot game, while Level 2: The Encounter offers a nice mix of a video slot and a bonus game. In Level 3: The Hive it’s time for action in the all excited bonus game, one that will keep you fascinated for minutes facing the Queen Hive. In this level you’ll be reward five re-spins, in which the Queen Hive can be destroyed with a single grenade for maximum wins. Aliens Touch® is definitely a game you’ve never seen before, but the credits for that can’t be given to Netent only as this Touch® game has been created in cooperation with 20th Century Fox. It’s because of this collaboration, scenes and characters from the movie could be used. 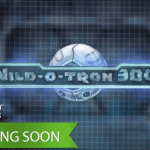 All-new 3D graphics make sure you get drawn into the game, experiencing this game from the Marine’s helmet camera while fighting it’s way to the three levels, accompanied by a brooding soundtrack, creating high level tension while spinning the reels. For the first time Netent created a video slot game existing of three levels, one you must try if preferring an action packed game. 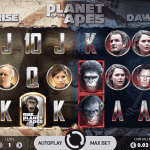 The chance this 5-reel, 3-row, 15-line video slot is going to bore you, is quite small as the action will be there the moment you open the Aliens video slot, no matter if in a Netent Casino or a Netent mobile casino. Just as the desktop game, also Aliens Touch® is all about fighting yourself through three different levels: The Search, The Encounter, and The Hive. The goal in Level 1 (The Search) is to fill the Alien Activity Meter with the highest multipliers, which will set you up for huge wins in Level 2 (The Encounter), in which the aim is to survive the waves of Alien attacks, guaranteeing wins with every single spin. Successfully completing Level 2 will bring you to the last, but most feared level as you’ll be face to face with the Queen Hive. This level includes a reward of 5 re-spins, where the Queen Hive can be destroyed with a single grenade for maximum wins. While playing Aliens Touch® on either your smartphone or tablet, you’ll be plunged into a dark, but very exciting world, with one mission only, to survive the Alien onslaught and destroy the Queen.